Photo taken after Cleveland summit, front row, left to right, Bill Russell, Muhammad Ali, Jim Brown and Kareem Abdul-Jabbar (formerly Lew Alcindor). Back row: Mayor Carl Stokes, Walter Beach, Bobby Mitchell, Sid Williams, Curtis McClinton, Willie Davis, Jim Shorter and John Wooten. “You my opposer when I want FREEDOM. You my opposer when I want JUSTICE. You my opposer when I want EQUALITY!” These fiery words spoken by Muhammad Ali 50 years ago ignited and inspired a struggle in the United States against racism and war, from the streets to the barracks and across the globe. A historic summit was held in Cleveland 50 years ago in solidarity with heavyweight champion Muhammad Ali, to support his status as a conscientious objector during the Vietnam War, based on his religious beliefs. 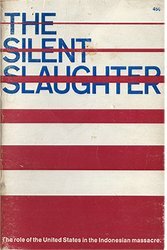 He faced jail time by the U.S. government. 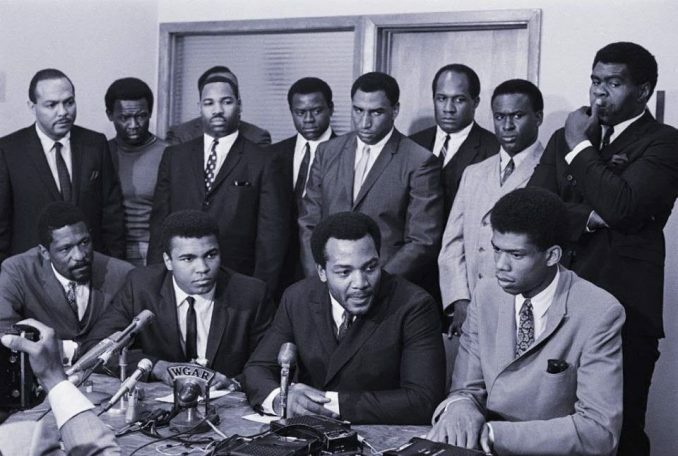 A June 4, 1967, press conference followed this meeting of the minds in the battle of ideas, featuring Ali, other Black athletes and political figures. For a summit clip, go to youtu.be/XthuWLpTyk8. Ali’s resolute defiance was also coupled with a deep understanding of U.S. imperialism and the role of its military. Facing the loss of his heavyweight title and income while appealing his conviction for draft evasion, Ali never wavered as he spoke to thousands of anti-war activists to explain his refusal. “Clay aka Ali v. United States” was heard by the U.S. Supreme Court on April 19, 1967. A unanimous (8-0) decision in favor of Ali came down on June 28, 1971. As a new generation of athletes boldly rises with their fists in the air, kneeling and speaking out, we are reminded that U.S. imperialism, and the system of racism, oppression and bigotry that is part of it, must be confronted, dismantled and abolished. Muhammad Ali, Presente!